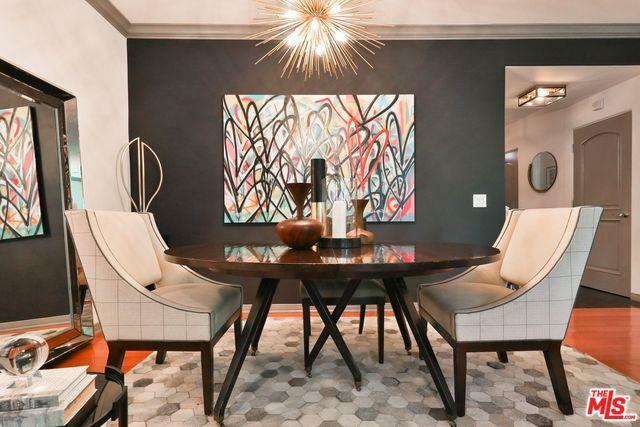 Designer-done townhouse floating above West Hollywood in a highly-desirable location. 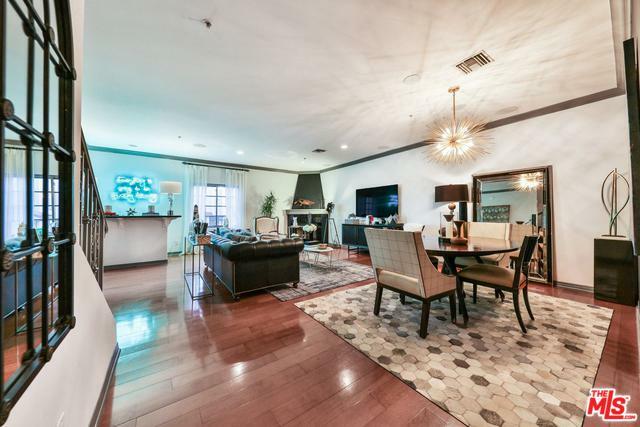 Top floor unit, custom finishes, large kitchen with stainless steel appliances, double ovens and gas cooktop. Open floorplan with gas fireplace and custom built-in bar inside but steps away from a covered outdoor entertaining area with seating for 6+ people and views (one of two 14x12' outdoor areas). 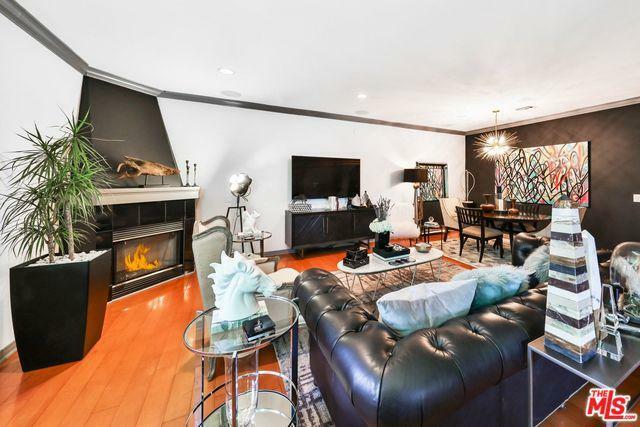 Two bedrooms located upstairs, guest room with en-suite bathroom and custom walk-in closet. Master bedroom features large outdoor entertaining space with views of the Hollywood Hills, city lights and downtown. Master bath with separate shower/tub and custom walk-in closet. Other unit highlights included: Recessed lighting, hardwood floors, crown modeling, Nest air system, custom wallpaper, designer fixtures, outdoor chandelier, built-in speakers throughout, laundry in-unit, French door style sliders to outdoor areas and is complete with two side-by-side parking spaces (w/ parking for guests in garage). 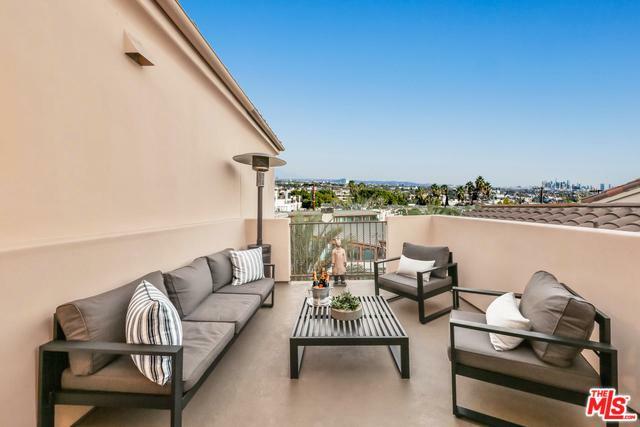 Listing provided courtesy of Chris Jacobs of Keller Williams Beverly Hills.